Eastern and Western Europe continue to change in their relationship to one another and in their ongoing dynamic with the post-Soviet states. Economic development, electoral upheaval, and the Bosnian crisis all color the transition from communism to democracy and from a Cold War outlook to a new global order still taking shape.In this fully revised and updated edition of his popular and critically acclaimed text, David Mason brings the revolutionary events of 1989 into context with the transitional yet turbulent 1990s. We see new parties, new politics, new constitutions, and new opportunities in light of economic shock therapies, ?left turns? in recent elections, and dissolving sovereignties and alliances. 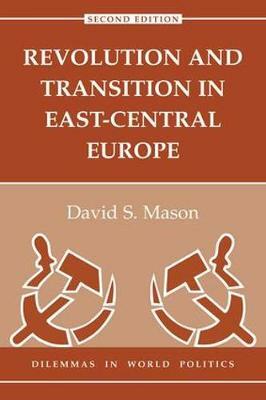 Despite savage ethnic conflict, economic scarcity, and political insecurity, Mason shows us that East-Central Europe is consolidating and reemerging as a region to be reckoned with on the global stage.